The Worst Advice We've Ever Heard Given Regarding Cannabis As Medicine! We’ve ever heard given regarding cannabis as medicine! What’s the worst advice we’ve heard given regarding cannabis as a medicine? That’s tough due to the excessive amount of misinformation floating around as a condition of the war on drugs. We’ve heard plenty of incorrect advice but today we’re focusing on one, which involves Rick Simpson Oil and the advice given to a first-time cannabis-user who was looking to treat pain and didn’t want any of the psychoactive effects associated with marijuana. Rick Simpson Oil is named after a Canadian cannabis activist who first used extracted oil from cannabis to cure his own skin cancer. RSO is a whole plant extract that contains most of the components found in the plant and contains high levels of THC. RSO is often used by cancer patients needing large doses of THC and it is usually very psychoactive. We know of a guy who was struggling with pain and anxiety and was looking to try something different. Raised in the Midwest he’d only been around cannabis a few times and never tried it for himself. For much of his life he associated “pot users” with deadbeats because that’s how he was raised, but when traditional medicine wasn’t cutting it any longer he wanted to try something different. He was a mess struggling with pain, anxiety, and a mild form of depression causing him to self-medicate with alcohol. He asked a family member who was a medical marijuana patient if there was anything he could use to treat his symptoms but stressed the fact that he didn’t want to “get high.” His sister told him about RSO and said it would be a great place to start. Unfortunately, his sister never tried RSO for herself and was simply relaying information she heard from someone else, just like the game “telephone,” truth tends to get lost as it passes from one mouth to another. The gentleman got his Med card and acquired the RSO. Later that night he put a tiny drop under his tongue and that’s the last time he used it. He was awake most of the night, lying on the floor higher than a kite. He was very anxious, and he noticed his heart beating faster, he went into full blown panic mode and convinced himself he was having a heart attack. This is an issue because he received a heavy dose of the psychoactive high he was trying to avoid. A little goes a long way with RSO. Instead of relieving his issues the RSO exacerbated the situation and it became more damaging than beneficial. What would’ve been a better option? If he would have asked us first, we would have strongly urged against using the RSO because of its high potency. Instead, we would’ve suggested starting with a high-CBD product like the Care by Design 18:1 or 8:1 tincture ratio. This is the preferred starting place for someone new to cannabis because it doesn’t cause you to feel the psychoactive high due to it being a more concentrated CBD product. CBD is the non-psychoactive cannabinoid proven to help reduce anxiety, inflammation, and even level out the psychoactive effects felt by THC. The reason we suggest a ratio including a small portion of THC over a product based 100% in CBD is because it’s shown that THC needs to be present in order to reduce the feeling of pain in the body. THC is the cannabinoid best used for treating pain and the pain-relieving effects can be felt even in small doses like they are in the 18:1 and 8:1 ratio, without causing the head high. This is great news for anyone seeking alternative forms of treatment, who may fear using cannabis because of the psychoactive effects it produces. 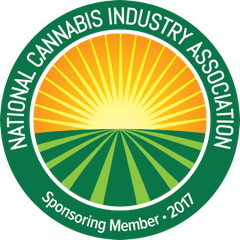 The next time you have a cannabis-based question we recommend consulting a professional in the industry. Thanks for reading! Join us on social media where we are working to end cannabis stigma by promoting an active and adventurous way to explore cannabis! If you’re anything like me, you enjoy cannabis just as much for its psychoactive effects as you do any of the health benefits. It’s okay to admit you enjoy a nice “high” every now and again. Have you ever gotten carried away with your cannabis-use and over time started to feel like the plant wasn’t getting you as high? It’s okay if you have. We’re human and none of us are immune to temptation or the desire to chase what feels good. Cannabis is one of those substances that are easy to over-use at times. Rather than beating yourself up or doubling down on your dosage in search of a high we’re going to offer you the latest information on how long it takes to restore inactive CB1 receptors so the next time you get carried away and no longer feel like you’re able to achieve a high, you’ll know what to expect. What symptoms can be expected by someone who is over-consuming cannabis? It’s been found that chronic moderate daily cannabis-users build up a tolerance which diminishes the CB1 receptor availability in the brain. CB1 receptors are the part of the body which respond to the THC cannabinoid in the plant, causing the intoxicating effects known as a “high.” This means non-cannabis users have more CB1 receptor availability than does a user, however, research has proven that “significant CB1 receptor up-regulation begins within 2 days of abstinence and continues over 4 weeks.” You know yourself best. Take a few days off and things should return to normal. After your “tolerance break” we don’t recommend returning to the dose you were consuming prior, rather start small or ease your way back into consuming with the help of CBD-dominant products, like a Care by Design vape cartridge, Pure CBD crystalline isolate, or maybe a high CBD based edible. High CBD based products are also great options for someone new to cannabis. CBD by itself has no psychoactive properties and when used in conjunction with THC it has the ability to level out the intoxicating effects due to it being an antagonist, meaning it blocks THC from binding to more CB1 receptors in the brain. Helping to properly regulate your endocannabinoid system, allowing you to maximize your experience of the world. Thanks for reading this week’s article! Please note we’re not doctors, and our information should not be used to diagnose yourself. For more cannabis inspired content follow us on social media where we’re helping to end cannabis stigma through promoting an active and adventurous lifestyle. Cannabis is going mainstream fast, with the national legalization in Canada and the passing of Prop 64 in California there’s a lot of buzz surrounding the ancient plant. Although it’s been around far longer than the duration of our society, we’re in the infancy of understanding it’s true potential. Prohibition stunted researcher’s ability to study the plant, but as the globe begins to ease up on “Marijuana” it creates more opportunity for us to discover how we can best use it to improve our lives. Each cannabinoid is different in composition causing it to interact with the receptors in uniquely individual ways. This is the reason for cannabis’s amazing ability to treat a wide range of ailments. It’s common for us to receive questions from people claiming they’ve heard a lot about CBD and the many benefits it has, so we thought it’d be a good idea to compare the two most abundant cannabinoids found in cannabis (THC & CBD) and share them with you, because it’s possible you’re demonizing something that could actually benefit you. For starters, let’s discuss Tetrahydrocannabinol, or THC – the cannabinoid most people think of when they consider consuming cannabis. This “phytocannabinoid” interacts with CB1 receptors located throughout the brain and central nervous system, inducing the psychoactive or intoxicated state of mind. The effects felt from THC are typically what people fear before trying it themselves, luckily, today’s canna-culture has developed low-thc ratios, including flower; which enable people to receive a therapeutic effect without the head high – providing access to the benefits without feeling impaired. THC is commonly used to treat: pain, stress, insomnia, and acts as an appetite stimulant. Moving on to the lesser known cannabinoid making a lot of noise recently, Cannabidiol, or CBD, is a non-intoxicating cannabis compound that has a plethora of medical benefits and generally accounts for more than 40% of the plants extract. “CBD is an alluring option for individuals seeking relief from inflammation, pain, anxiety, psychosis, spasms, and other off-putting feelings of lethargy or dysphoria;” you shouldn’t have to sacrifice energy and focus in order to feel good inside your body. How does THC & CBD interact with my body? The way THC and other “cannabinoids” like CBD interact with the body are through the “endocannabinoid system,” which is a physiologic system located throughout the body, involved in regulating homeostasis; it influences the way we experience the world around us. Unlike THC which interacts with the CB1 receptors in the endocannabinoid system working as an agonist – (activating the receptor its binding to), CBD has little binding affinity to either CB1 or CB2 receptors and instead acts as an antagonist – (it binds to a receptor but does not activate it, and can block the activity of other agonists), modulating several non-cannabinoid receptors and ion channels. Because of this CBD can be used to counteract the “head high” of THC if it becomes too much, but keep in mind products containing both THC & CBD are associated with psychoactive effects, just at varying levels. Broadly speaking what are the different type of ratios? What’s the best approach to receive maximum benefits? There are both THC and CBD isolate products available, but studies show a synergistic effect between THC and CBD allowing the consumer to benefit from the “Entourage effect,” which provides the user with the full spectrum of therapeutic compounds cannabis has to offer, when paired together. If you’re seeking treatment for inflammation related issues a High CBD product is a great place to start, but if you’re looking for a pain remedy or sleeping aid it’s really important that some level of THC be included in the regime. Start slow and dose low. We suggest taking personalized notes, so you can find what works best for you. We have products for every user so If you’re new to cannabis we suggest a product with a balanced ratio, or one with a higher level of CBD so you can ease your way into the preferred treatment zone. Thanks for reading. To help end cannabis stigma follow our social media accounts where we're promoting an adventurous way to explore cannabis! What questions do you have regarding cannabis? Leave us a comment below! Sign up with your email address to receive news and updates from the Nice Guys.